You can also telephone him on 07554 117717. I hope the police will get a chance to get a forensics team onto it as well. 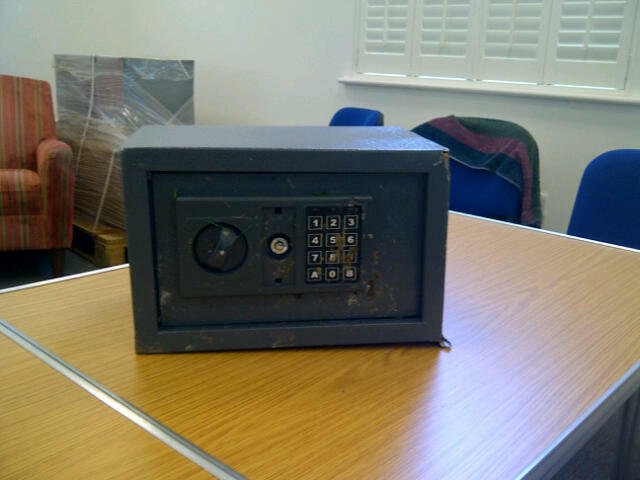 We can't have people running about stealing safes willy nilly. It just wouldn't be right.